Varun Suchday, Ever since my middle school days He was deeply interested in our planet, its people, culture, languages, natural wonders and history. he satisfied these curiosities by reading non-fiction books. In June 2015, he decided to learn about our world in person. he flew into Ecuador with no plan and little Spanish. The rest, as they say, in his story. He crisscrossed across 15 countries in South & Central America. he spent 12 months traveling and visited 3 Wonders of the World & 29 UNESCO World Heritage Sites. He hitchhiked (traveled taking lifts) 4400 kilometers for 2 months (January & February 2016) in Argentina and Chile. Stayed in tent for two months. he learned Spanish & Portuguese to learn about local folklore, cuisine, culture, language, history, economy, wildlife, geology, and lifestyle of different countries. To support my travels, He sold food in street plazas, helped people with IT, taught English, helped people with Hotel reservations, and even worked with Syrian & Afghan refugees in Serbia. And, He continued traveling in India with the same zeal. 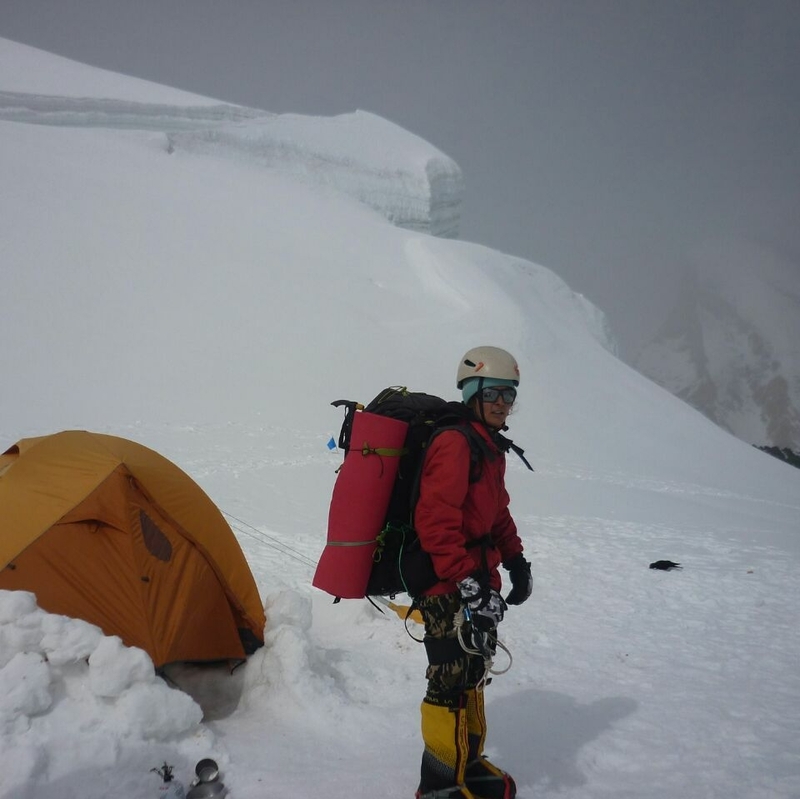 Surabhi Chavda The First Girl from Gujarat to attempt World’s Hights Peak Mount Everest. She completed the required courses in mountaineering from recognized mountaineering institutes and has been working as Mountaineering Instructor. She has been selected for climbing Mt. Everest (8848 meters , World’s highest mountains) expedition as a member and will be the first woman from Gujarat-India to climb Mt. Everest. She is working with the school and going to introduce comprehensive long-term mountaineering program to nurture holistic mountaineering skills Unlike other short term mountaineering courses, program will enable, Instilling fundamental skills by continuous and repetitive practice, Mentored Progression to scale higher and more difficult ascents, Exposure to different terrains in and outside the Country! 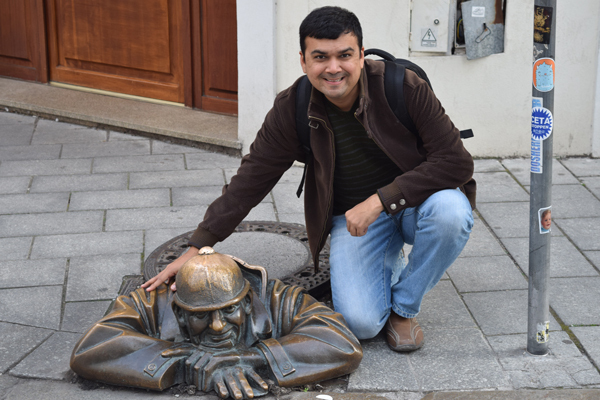 BHavin Bhavsar is a Digital Marketing Consultant and an avid Social Media Enthusiast, since 2003. Apart from his professional lineage, he is an avid travelpreneur, amateur photographer, solo traveller and a fashion enthusiast. 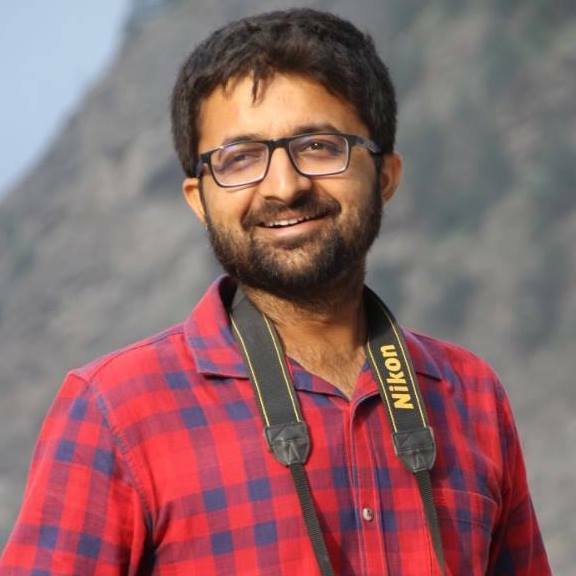 Having visited 17 countries till date, Bhavin is keen to explore many more cities and countries and enthusiastic in sharing his solo travel experiences with everyone. Dr. Ashok Karania is an entrepreneurial leader with more than 15 years of senior management experience in strategy, sales, alliances and client relations. As the Vice President for Europe Business, he brings InfoStretch’s highly innovative and cutting-edge Silicon Valley expertise to European enterprises. He is a creative nomad who has visited nearly fifty countries across the four continents. He started traveling since early days and has captured interesting national and international experiences. The best travel experience is not defined by coolness of destination, companion or perfect plan but by the spirit of the traveler. Ashok recently gave a TEDx Talk where he spoke about the joys of traveling alone and how it is an enriching and life-changing learning experience. 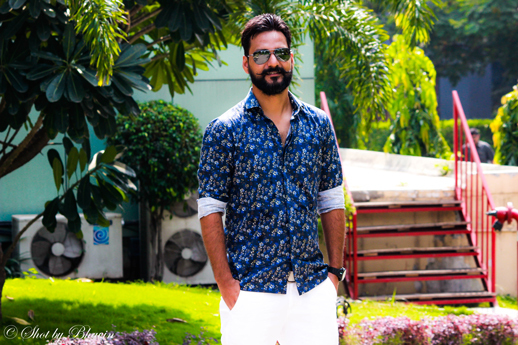 Rushiraj Mori is the Managing Trustee of Invincible NGO & Chief Instructor at Youth Brigade. He is an alumnus officer training cadet of National Defence Academy (NDA) & Himalayan Mountaineering Institute (Darjeeling). He had scaled Mt Bidhan Chandra (18,176 ft) in 2013 and had become the first Gujarati to climb the same peak. 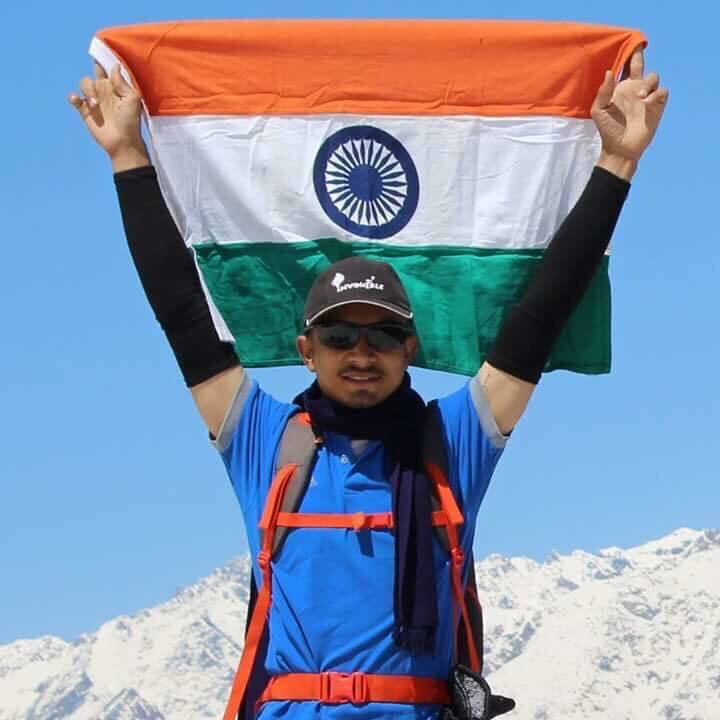 He also climbed Mt Gangotri III (21,920 ft) in 2015 and became the youngest climber of world to summit the same peak. Along with this he is also the only person to take Shrimad Bhagwad Geeta up to 21,000 feet. He was also awarded with iSCALE award in 2014 & prestigious “iVolunteer Award” in 2015. He has got his skiing training from ABVIMAS (Manali). He is dedicated with his selfless services and dreaming for a better INDIA. Being a mountaineer, he is expert in expedition planning and executive manners. Along with this, he has done wonderful job in NCC, NSS & Blood Donation and had led the respective field in the national level.